RxTox utilizes some of the most highly advanced testing equipment available, which allows us to provide you with both qualitative and quantitative results for even the lowest levels of drugs. We are proud that very few labs can honestly make that claim, and even fewer perform all testing in-house as RxTox does. Every sample we receive is stringently prepared for detailed testing, and our testing instruments are consistently calibrated and validated to ensure they are functioning within their tightly defined acceptable ranges. 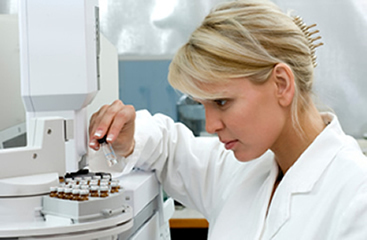 The analytical testing process has two main components, the initial drug screen and the confirmatory drug test. The initial drug screen in most cases is an enzyme immunoassay test (EIA) that utilizes methods and reagents with proven high analytical accuracy intended for the qualitative and semi-quantitative determination of drugs in urine. This screen is performed on a clinical chemistry analyzer which not only checks for the presence of specific drugs above a pre-defined cutoff concentration, but also detects if the sample has been inappropriately adulterated by measuring temperature, pH, specific gravity, and creatinine concentration, all of which should fall in a given and acceptable range. A positive screen is tested again using a separate aliquot from the original sample container. This second testing method is done by gas chromatography/mass spectrometry (GC/MS), in order to confirm the presence of the positively screened drug or drug metabolite. The positive substance is extracted, concentrated, and then injected into the GC/MS system. Gas chromatography determines retention time as the substance passes through the instrument's column on its way to the mass spectrometer detector, which uses highly sensitive electron ionization methodology to break apart the substance and enables an RxTox technician to positively identify a particular drug or its metabolite. 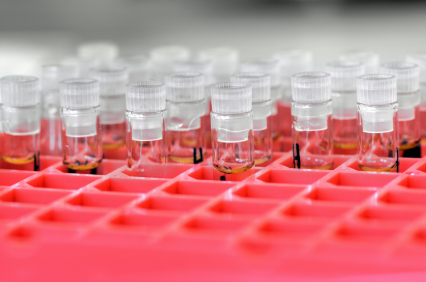 This specialized GC/MS confirmatory testing is what allows us to accurately and definitively quantify the presence of a drug or drug metabolite above the identified cutoff level.